Windy City Mechanical, Inc. is proud to serve the Palos Heights community! About Palos Heights, IL - Happy to be your hometown Heating & Air Conditioning Contractor! Palos Heights is a Chicago, Illinois suburb located in Cook County. As of 2010, the population was just over 12,500. Palos Heights consists of four neighborhoods, each of which has distinctive characteristics: Ishnala, Downtown, Colonial Heights/Old Palos, and Lake Katherine. The community is served by four school districts, but most high school students will attend courses at the Alan B. Shepard High School or Amos Alonzo Stagg High School. A station of the Metra’s SouthWest Service is also located in Palos Heights and provides rail transportation to Chicago Union Station. 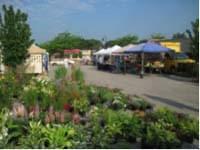 Palos Heights is home to a variety of attractions that might appeal to area visitors or residents. The Lake Katherine Nature Center & Botanic Gardens is a great place for nature enthusiasts, and the Cook County Forest Preserve also provides for outdoor recreation. Golf fans may also like to play a round at the Oak Hills Golf Course. There are several art exhibits and shows located in Palos Heights, including the Fine Arts StageWorks and the Arthouse of Palos Heights. If you are still looking for something to do in the region, consider traveling into Chicago for additional entertainment opportunities. Check out the animals at the Lincoln Park Zoo or watch a show at Briar Street Theater. The Adler Planetarium and Richard H. Driehaus Museum are also great educational opportunities in the area. Palos Heights and the surrounding area is definitely a region of weather extremes. Winters in the northeastern corner of Illinois are cold and snowy, and severe weather is possible. During these cold snaps, an efficient heating system is important, especially if winter storms keep residents homebound. During the summer, conditions turn to humid and hot, and there are many days that temperatures exceed 90 degrees. However, with the high humidity levels, conditions often feel much warmer than that, so homeowners and renters rely on their air conditioner to keep them cool while also keeping allergens at bay.